The Diabetes Online Community (#DOC): Who/What/When/Where/Why Is It? 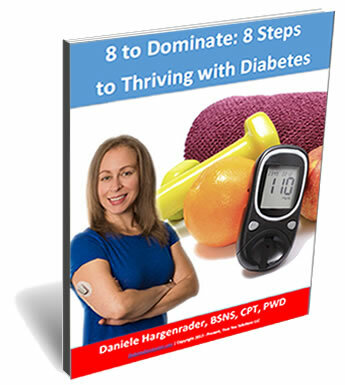 Back in 2015, I was working feverishly on completing my first book, Unleash Your Inner Diabetes Dominator, How to Use Your Powers Of Choice, Self-Love and Community to Completely Change Your Relationship with Diabetes for the Better. It took me almost four years to complete that book, and I’m still profoundly grateful and humbled by the consistent positive feedback it continues to receive to this day. One of the topics I cover in great detail in the book is the power of community (it is in the title of the book, after all) – the incredible, life-changing, epically powerful force that is peer support when it comes to living with a chronic disease and not feeling alone through the daily ups and downs. 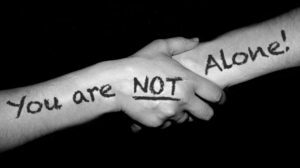 The thing was, however, that no easily accessible website where the widely-varied multitude of avenues to explore regarding finding and engaging in peer support in the #DOC existed. I knew that my team and I had to create it before publishing the book so we could reference it in the book! Who? The Diabetes Online Community (#DOC) consists of people, non-profits, organizations, and more, all made up of people with all types of diabetes from all walks of life and from all backgrounds all over the world who feel passionate about sharing their experiences, information, resources, tips, tricks, strategies, and so much more in hopes of lightening the burden of themselves and others living with diabetes through the power of connection and community. When? The Diabetes Online Community exists 24/7/365, so there is quite literally never a time that you can’t go into a moderated chat room or Facebook group and speak with your peers live about anything diabetes-related (and more) that is going on in your life. Where? The Diabetes Online Community is, well, everywhere. From chat rooms, to Facebook groups, to Twitter chats, to websites, to blogs, to Podcasts, to YouTube, to in-person meet-ups that are born of the lively and inspiring online chat, there really isn’t any area of life that the #DOC doesn’t permeate. Why? Simply put, because we are so much stronger as individuals if we stick together as a supportive community. I can’t tell you how many times I and many others have reached previously unattainable health and diabetes-related goals because of the support and encouragement received in the #DOC. The spark of excitement that is ignited by possibility – by just seeing that someone else was able to achieve something and knowing that if they can do it, you can too, is magical and in many cases, life-changing. DiabetesOC.com has evolved over the past three years into a community-created and sourced website. We have a form where people regularly suggest additions so that we are always growing and being mindful of new resources whose aim is to help people with diabetes live happier, healthier, more connected, more love and support-filled lives so we can share these resources with our amazing community. I have had a multitude of healthcare practitioners, doctors, CDEs, NPs, and more tell me that having this website to pass onto their patients has been an invaluable tool that has helped with patient outcomes on all levels (mind, body, spirit), and I personally feel that if more healthcare practitioners became educated about the power of peer support in overall health outcomes and knew how to direct patients to find it, diabetes management across the board would be, well, more manageable for everyone involved. To this day, I still get questions about where the DOC is, how to navigate it, and more, so I thought it would be a good idea to re-launch www.DiabetesOC.com in hopes of spreading even more awareness of the resources available, as well as to continue sourcing new resources for those of us who want to learn, grow, contribute, and feel more connected to something much bigger than ourselves! So with that, please take a minute to visit DiabetesOC.com, and to share the site with your community so that we can collectively help as many people as possible to not feel alone in their ups and downs with diabetes. And if you have any resources you think we should add, please let us know!